Mitochondrial DNA from Hohlenstein-Stadel cave reveals unexpectedly high diversity among Neanderthals in Europe, but even more incredible is the discovery of genes acquired by mating with archaic Homo sapiens sometime between 470,000 and 220,000 years ago. It is no secret that early hominins of different shapes and sizes, with very different genetic lineages – even those of different species – indulged in exotic sexual liaisons. The modern human genome carries the evidence of all this past interbreeding, depending on the specific geographic origins of an individual living today they may well carry 2-3% Neanderthal genes perhaps 6% Denisovan genes and perhaps genes from the other, currently un-named, hominin forms detected in recent genetic studies. 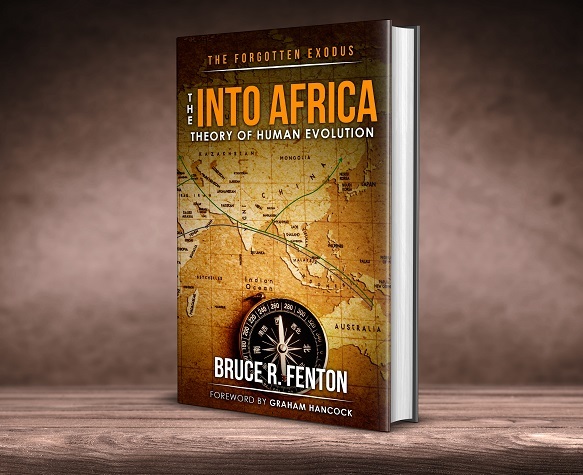 The very latest discovery in this subject area is one of the most exciting, incredibly controversial and particularly pertinent to the book The Forgotten Exodus: The Into Africa Theory of Human Evolution. We are talking here about the identification of Homo sapiens genes in a 124,000-year-old Neanderthal femur. The bone, from which the mitochondrial DNA was extracted and analysed, was discovered back in 1937 inside the Hohlenstein-Stadel cave, Southern Germany. Enthusiasts of archaeological research will know that Hohlenstein-Stadel is already famous for the discovery of the earliest known wooden statuette, dated to around 35 – 40 thousand years ago and popularly known as ‘Lion Man’. 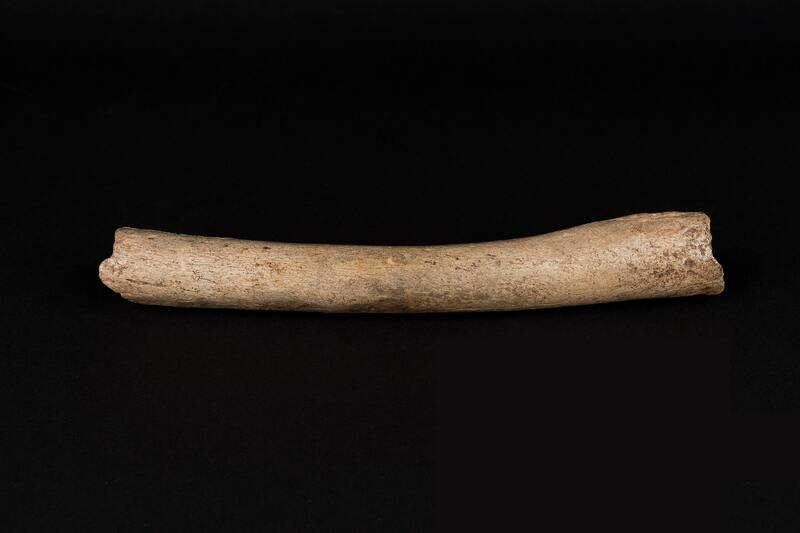 With the benefit of cutting edge DNA extraction technologies, this German Neanderthal femur has finally revealed more of its secrets to us, and the findings so far are nothing short of astonishing, especially for academics who are dogmatically attached to the current common consensus ‘Out of Africa Theory’ of human origination. It transpires that the previous owner of the femur was a Neanderthal unlike any other yet discovered. This early human’s ancestors had apparently diverged away from any other Neanderthal populations at least 219 – 316 thousand years ago, suggesting the existence of entire populations of Neanderthals of which we know nothing. This same mysterious Neanderthal population had interbred with archaic Homo sapiens – no more recently than 220 thousand years ago and potentially as far back as 470,000 years ago. The problem with this early interbreeding, one which is being skipped over by all mainstream media reports on this discovery, is that there is no evidence at all that places Homo sapiens in Europe at any time before 45 thousand years ago! If Homo sapiens did not reach Europe until about 45,000 years ago, how has their DNA turned up in a Neanderthal fossil in Germany dated to 124,000 years ago with the additional finding that the interbreeding event doubles that age? Due to the almost unassailable position that the Out of Africa Theory holds in the science community, the immediate reaction to this spectacular Neanderthal DNA study has been as sadly predictable as it is unscientific. Rather than question the ‘holy cow’ hypothesis in which Homo sapiens emerged in Africa between 300 – 200 thousand years ago before eventually migrating outwards across the planet around 70 thousand years ago (entering Europe 45 thousand years ago), a patch has been applied to keep a doomed theory on its feet. Just as there is no evidence of Homo sapiens in Europe early enough to explain the Hohlenstein-Stadel genetic flag for interbreeding, there is no evidence of Neanderthals living in Africa that can be used to offer an alternate explanation. In fact, there is only one region on Earth that has provided evidence of both early Homo sapiens and early Neanderthals at a suitable point in time – East Asia. Unknown to most of the world’s public perhaps, China has produced a great many extremely ancient Homo sapiens fossils, some of these finds range back to perhaps over 250 thousand years ago. Indeed, China boasts the earliest known fossils associated with fully anatomically modern humans; these finds potentially up to 180 thousand years ago. Archaeological discoveries in China have also produced evidence of yet to be named early hominins that might be Denisovans, Denisovan-Neanderthal-Sapiens hybrids, or something entirely new to science. China is looking more and more like a hot-zone for early human evolution and hominin interbreeding. There is more to this story that needs to be understood. Despite the fact that Neanderthals have long been accepted to be a European hominin species, this is not as clear cut as might be expected. There were certainly some very early forms of Neanderthals living in Europe 430 thousand years ago – we have a pile of their bones at the Sima de los Huesos archaeological site in Northern Spain. It seems quite fair to say that populations of anatomically modern Neanderthals emerged in Europe during the last two hundred thousand years or so – but there is more to this story. A paper on the genetic turnover in Neanderthals, published in Oxford Journals – Molecular Biology & Evolution (Love Dalén 2012), offers a revolutionary understanding. More recent groups of Neanderthals living in Western Europe lacked the genetic diversity evidenced in earlier individuals, suggesting they came out of a larger population. Strangely, for a supposedly European hominin, Central Asian Neanderthals displayed much greater genetic diversity. The data seemed to paint a picture in which waves of Neanderthals were migrating into Europe from a larger and more genetically diverse Neanderthal population somewhere in Asia. If all of this were not enough to call into question the understanding of Neanderthal origins and their interbreeding with Homo sapiens yet another issue still needs to be addressed – the Denisovans. During the detailed analysis of genetic material from the SIma de los Huesos fossil remains, it became apparent that the early Neanderthals carried genes shared with Denisovans, but these genes were no longer present in more recent Neanderthal forms. Fossilised Denisovan remains are not found anywhere in Europe, and there are no traces of their genes in the genome of modern Europeans – this explains why Neanderthals in Europe lost their Denisovan genes, there were no Denisovans there to supply a flow of fresh genes into the local population. So where did the ancestors of Neanderthals, living earlier than 430 thousand years ago, acquire their Denisovan genes? Denisovans diverged away from Neanderthals sometime between 190 – 470 thousand years ago and are only definitively identified with two areas of the planet. The first region associated with Denisovans is southern Siberia, at a cave site not very far from China’s north-western border with Russia. The Denisova cave site has produced a small collection of bones from four Denisovan individuals, with the youngest bones dated to 50 thousand years ago and the oldest being over 100 thousand years in age (potentially 150 thousand). Genetic analysis of the Denisovan remains revealed that ancestors of one of the individuals had interbred with Melanesian type modern humans – which takes us to the most significant evidence we have that relates to Denisovans and the second location associated with them. The only region on Earth where modern humans evidence a genetic flag for an ancient interbreeding event involving Denisovans is Australasia, specifically Northeast Australia and Guinea. Genetic studies of Australasian populations in the named areas have revealed that around 6% of the local modern human genome has come from Denisovans and their close relatives, beings not yet known in the fossil record. This finding strongly indicates that a population of Denisovans was living in Australasia, and the dating for the flow of genes into Melanesians places them there at least as far back as 44,000 years ago. The majority of East and Asians carry only around 0.1% Denisovan genes, suggesting Denisovans were not living in those regions alongside the early Homo sapiens now understood to have been present there. Through a process of logical deduction based on the evidence already shared, we begin to uncover a stunning revelation. The only regions in which the ancestors of European Neanderthals can have acquired genes shared with Denisovans and genes from early Homo sapiens are the lands from north-west China down to Australasia. The strongest evidence we have today as to the location of the Denisovan homeland places it not in Siberia but Australasia and Southeast Asia – making it very likely that Neanderthal ancestors moved up through Southeast Asia into East and Central Asia long before they entered Europe. An Asian migration model offers the most logical scenario if we are seeking to understand the archaic interbreeding signatures detected in European Neanderthals. Hohlenstein-Stadel is certainly an important archaeological site in Germany, but it may well also represent a a bsignificant problem for the current form of the Out of Africa Theory.